Blue plaid chairs, $450 each, 30″W. Blue & white swirl lamps, $125 each, 26″H. Palm art, two available at $52 each. 21.5″ square. Navy & taupe club chairs, $295 each, 32″W. beautiful cloud canvases $195 each. Each one measures 30×40. Demin-blue sofa, $695, 84″W. Large navy & white ginger jars, $75 each, 19″H. Blue & ivory vases, $38 each, 13″H. The coolest turtle giclee…alive with color, $295, 66×21. Just in on consignment…this GORGEOUS pine dining table with 8 chairs by high end maker, LORTS retails for $5,225…our price, $1,895. Includes 24″ leaf and table pads. Excellent condition. As shown w/ leaf, 82x60x29.5. our price, $695. 44x18x86. In warm ivory, with touches of green. Beautiful harbor art giclee, $395, 45″ square. Resin wood look lamps, $125 each. 25″H. Teal console table, $375, 64x18x32. Genuine leather ottoman, $265, 29x29x16. It retailed for $1400, our price, $895. 63×25.5. Set of 8 fish plates, $75…retail for $150. Majestic pelican giclee, $395, 38×52.5. 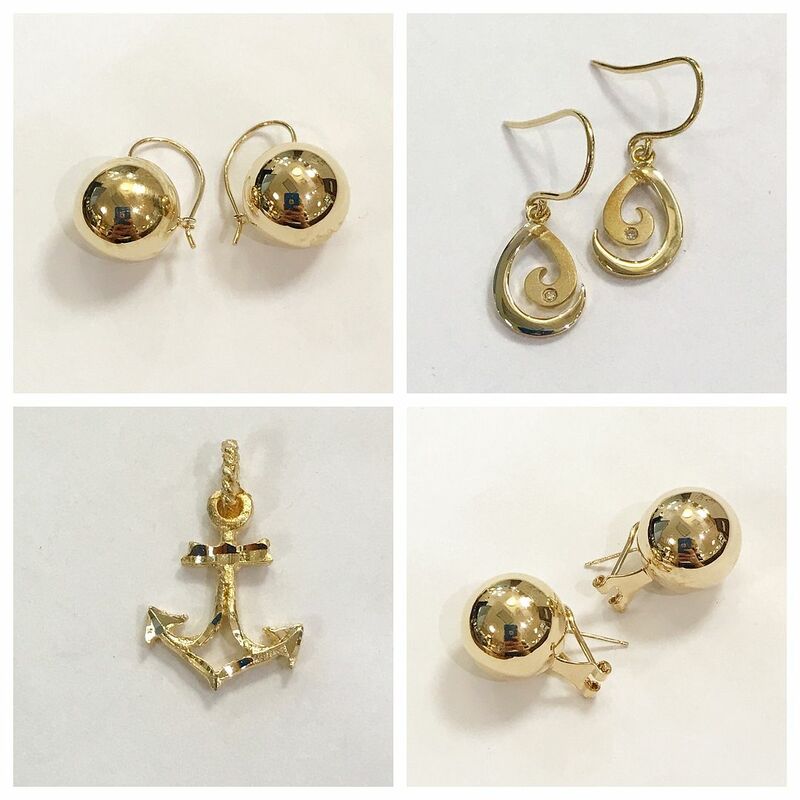 Just in on consignment. Large pine armoire, a steal at $395, 50x27x84. Very functional with retractable doors. Another fabulous dining set just in on consignment…54″ glass top table and 5 chairs by VANGUARD, retails for $3,760…our price $995. Includes table pads. Silk floral arrangement, $75. Just in on consignment…contemporary wooden console table, two available, $275 each, 54x18x30.5. Black chenille club chairs, $395 each, 41″W. Shell motif art, $236, 33.5×40. Super cute media cabinet in grey, just $145. 46x25x30. More goodies…pair of dark taupe accent chairs in microfiber, $425 each. 31”W. ?Nautilus giclee, $226, 33.5×40. Orange geometric print accent chair just $75, 22x25x32″h. Coordinating cube ottoman, $45, 17x17x17. in matte silver. $325 each. 33.5x18x30. A chandelier is a great way to turn a space from drab to FAB.. Yes, just $95. 18.5”diameter x 19.5”H. Just in on consignment, black chest of drawers in like-new condition, $350! 42x19x54. A pretty little black accent table with silvery gold details. So pretty… ivory chenille sectional, $995. 98×115. brand new for $375 each. Gorgeous blue and gold credenza, brand new showroom sample for $395, 47×14.5×36. Hand embellished painting, $202, 47.25×35.5. Gold resin lamps, $72 each, 33”H. A high quality trio of carved tables…that are in excellent condition and PRICED RIGHT! Wooden coffee table with ornate details, $165, 52x28x21.5. Matching end tables, $95 each. 20x20x27. Just in…trawler fine art giclee, 32×40.5h $295. Beautiful credenza for $695, 72x19x34. Beach abstract, $175, 47×35.5. Designer lamps, $165 each. Pretty wooden sailboat model just $75, 35”H. our price, $125 each. Not sold separately. on canvas, $125. 32” square. Another great sofa just in on consignment and in great condition,just $425… 86”W. Just in…blue/gray swivel chairs, $375 each, 29.5”W. Rosewood dining table just $350, 75×41.75×31. Beautiful hand embellished beach art, $395, 71×31. Glass lamps, sold, sorry. This rosewood dining table is gorgeous…. Huge dimensional sailboat art canvas, 39×69, $395. Brand new light taupe sofa, $795, 92”W. Check out this new item from Toadfish Outfitters! 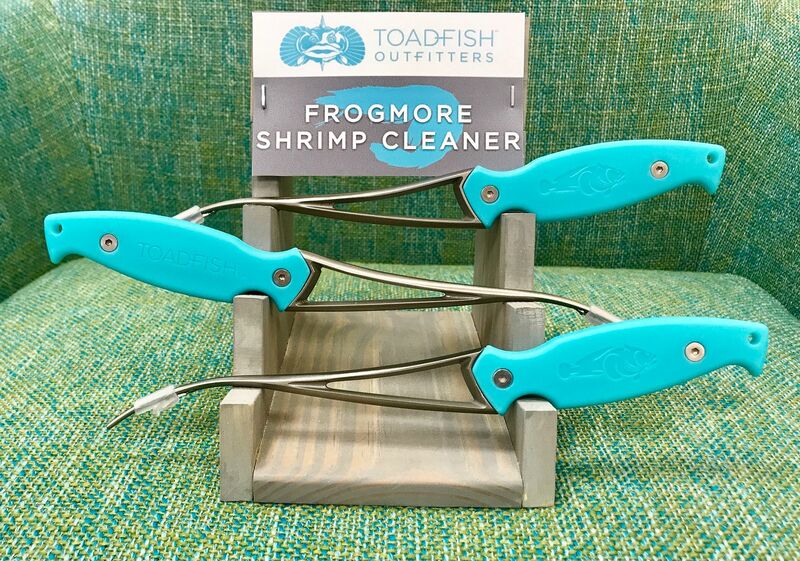 Introducing the ‘Frogmore’ shrimp cleaner. Peel, devein, and butterfly all in one motion. Stainless steel blade and an ergonomic handle made of recycled materials. $28 each. Click to watch a video about how they work. 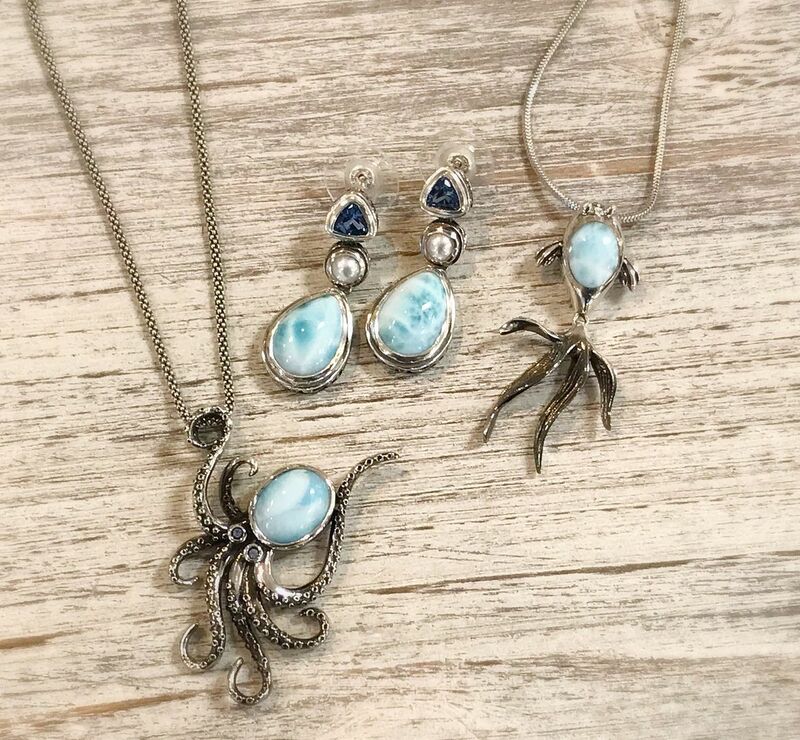 Just in…new Marahlago larimar pieces! 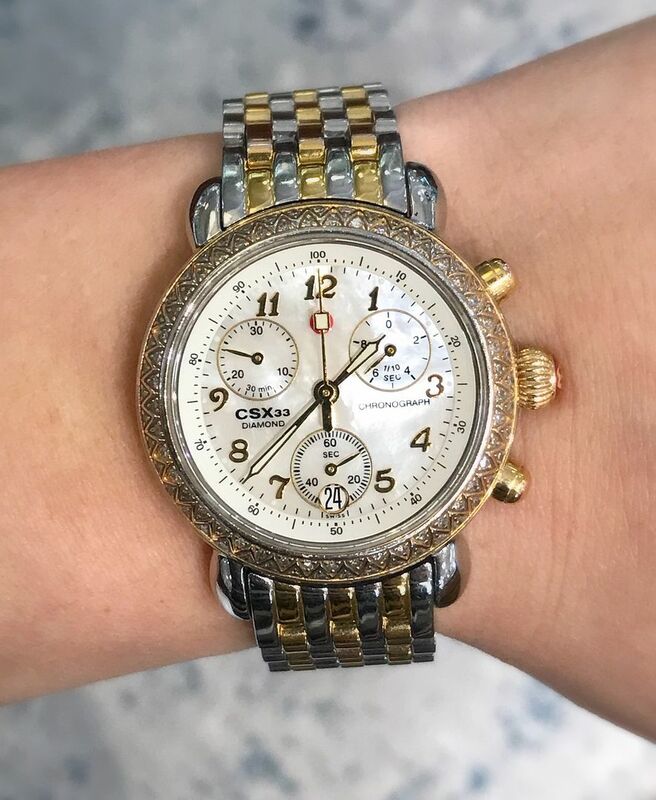 with two tone band, $1,395. with 1.11ctw of diamonds, $13,195. in 14ky gold, $3,995. 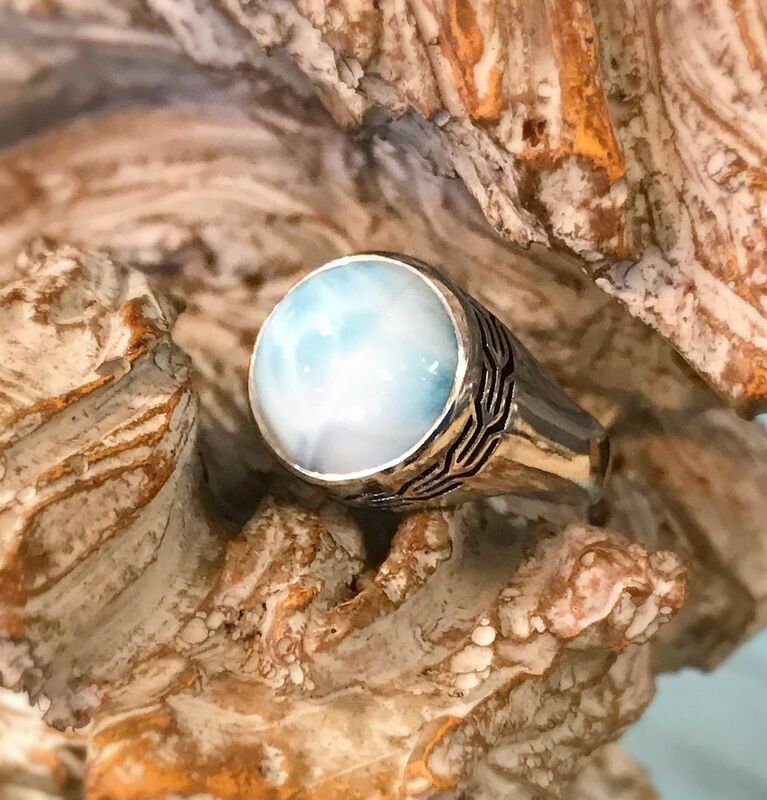 Click to see a video of this ring in all its glory. 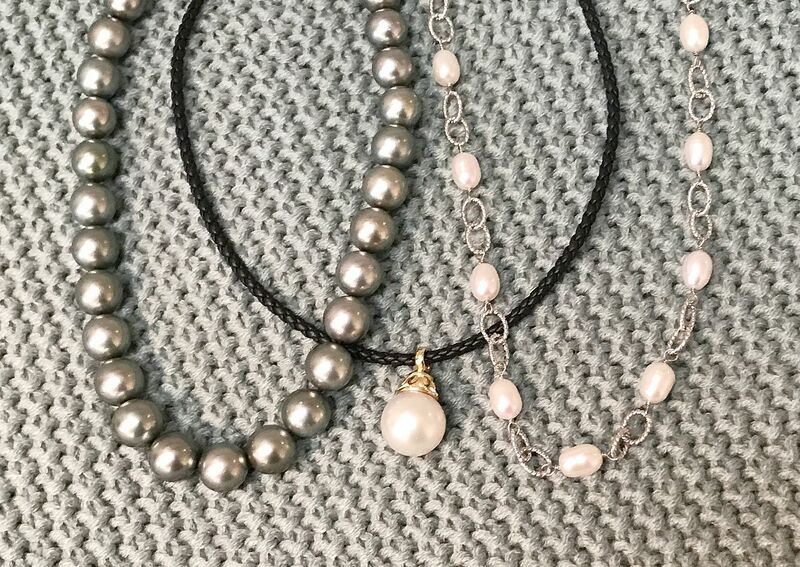 Looking for a non traditional pearl necklace? 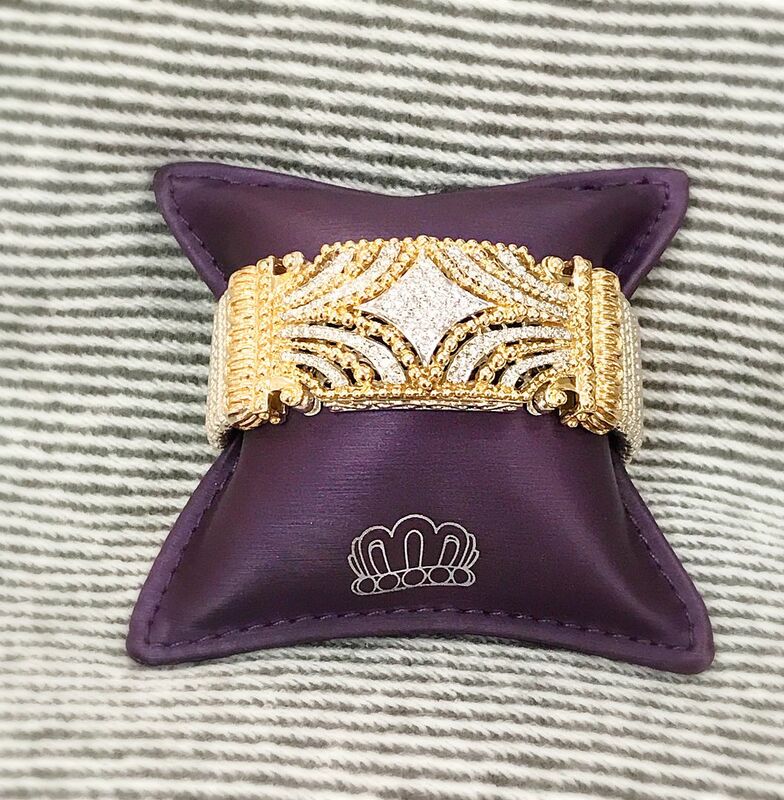 with 14kw gold clasp, $4,595. with Paspaley Assurance of Authenticity, $1,495. 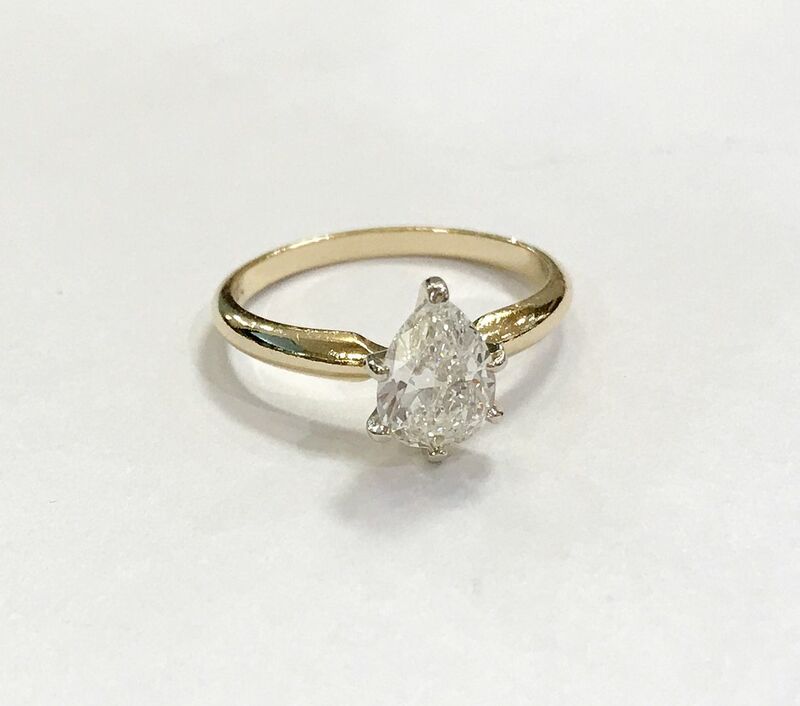 set in 14ky gold. Ring, $1,495. 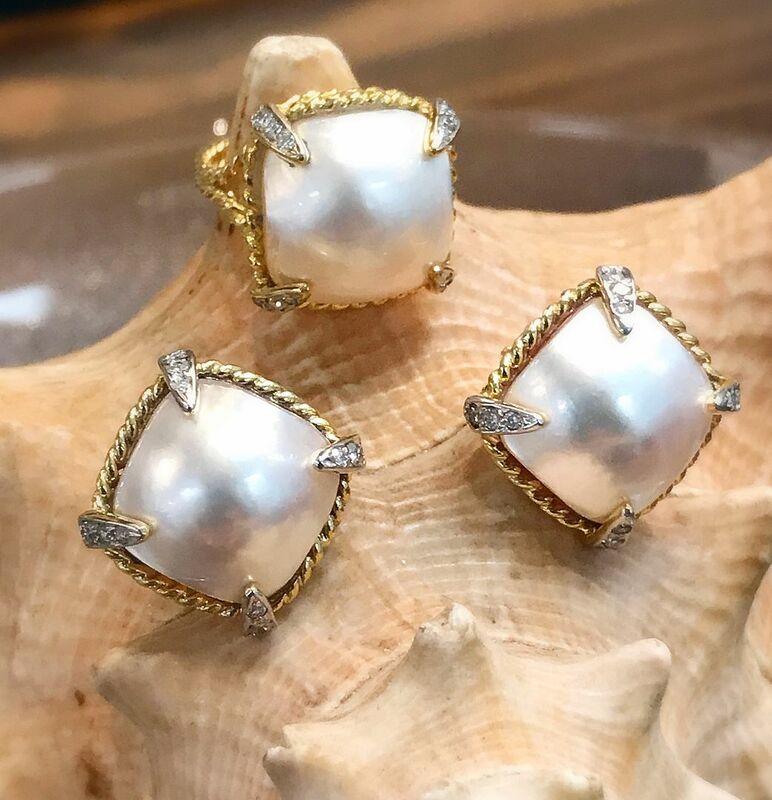 Earrings, $2,475. 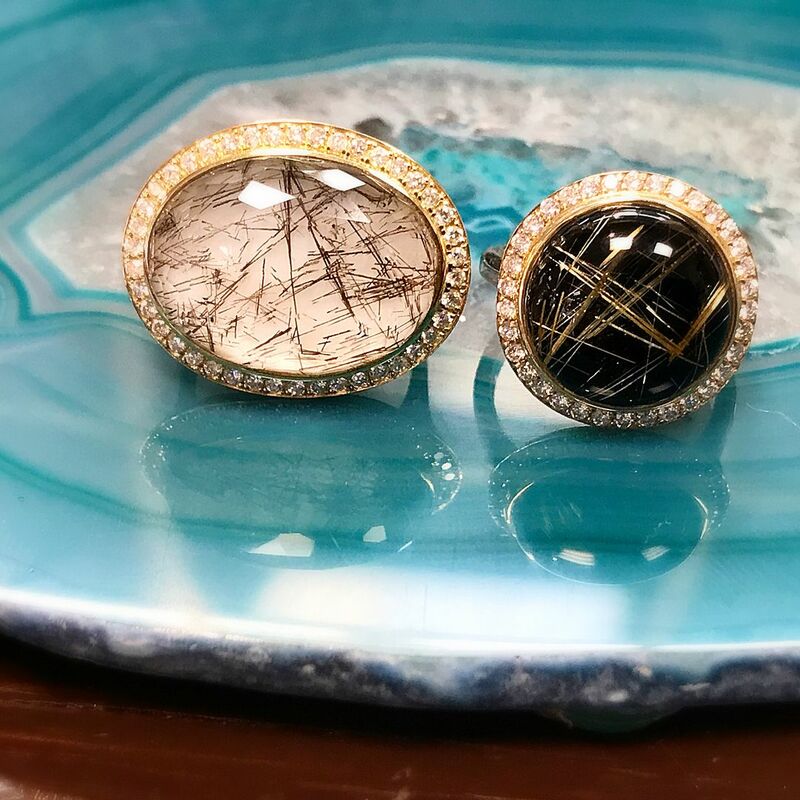 Rutilated quartz and onyx ring with .40ctw diamonds, $2,395. Click to watch a video of the special design and sparkle of these unique rings. Prices range from $95 to $245. 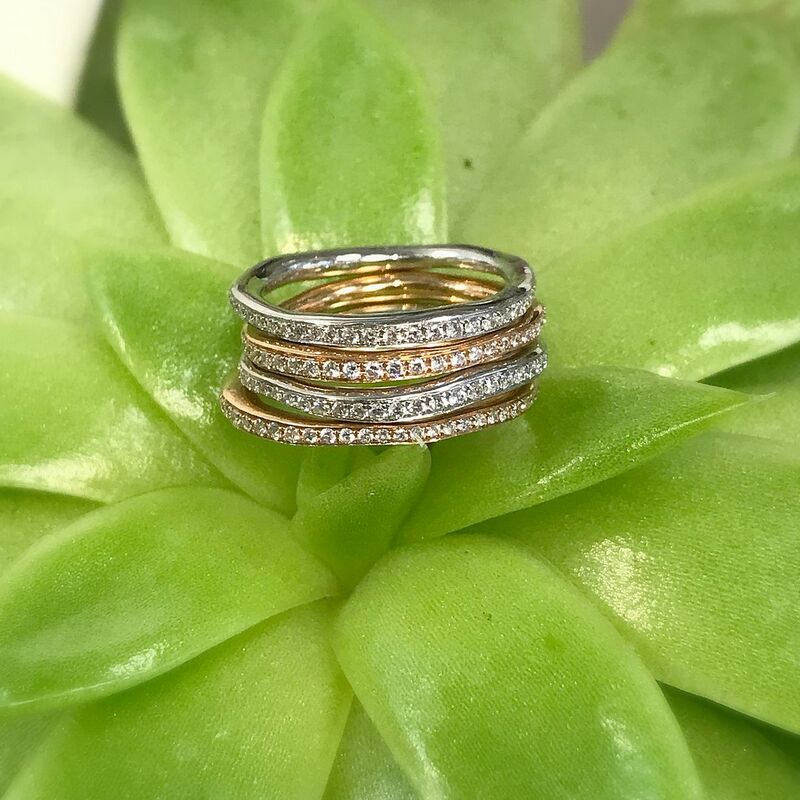 2ctw diamond stackable eternity bands in 18k rose and white gold. Were $2,995, now $1,676. 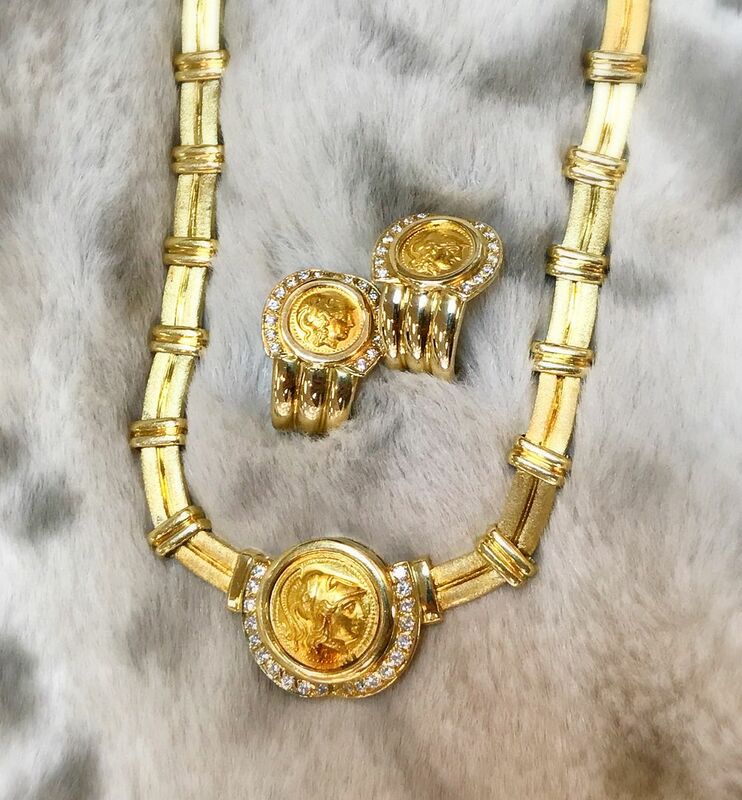 Matching Greek coin, diamond, and 18ky gold set. Earrings were $2,995. Now $1,675. Necklace was $5,995. Now $3,355. 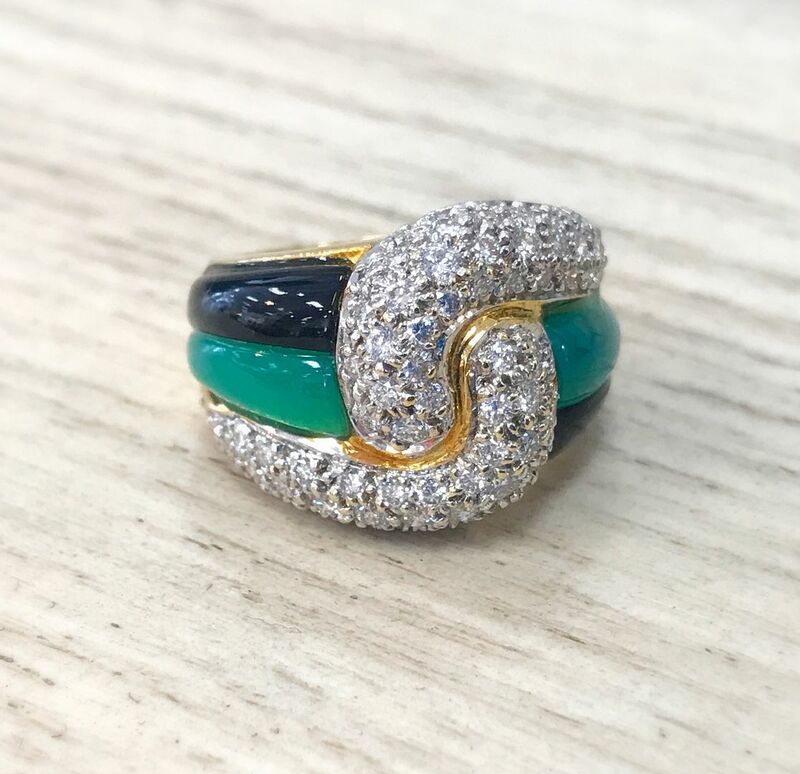 1.75ctw diamond ring with chrysoprase and black jade inlays in 18ky gold. Was $1,495. Now $845. 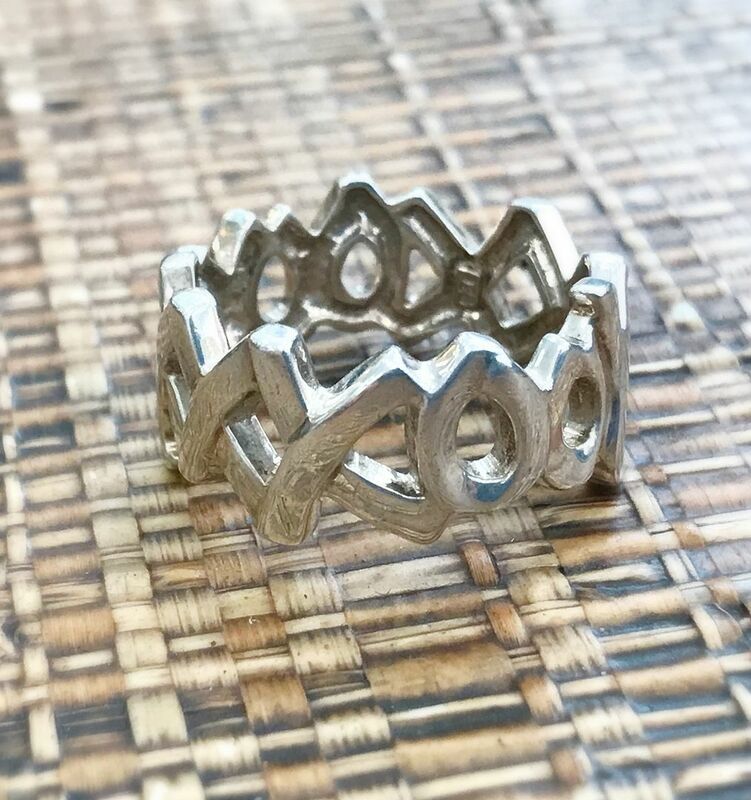 Tiffany and Co sterling silver X&O ring. Was $145. Now $85. 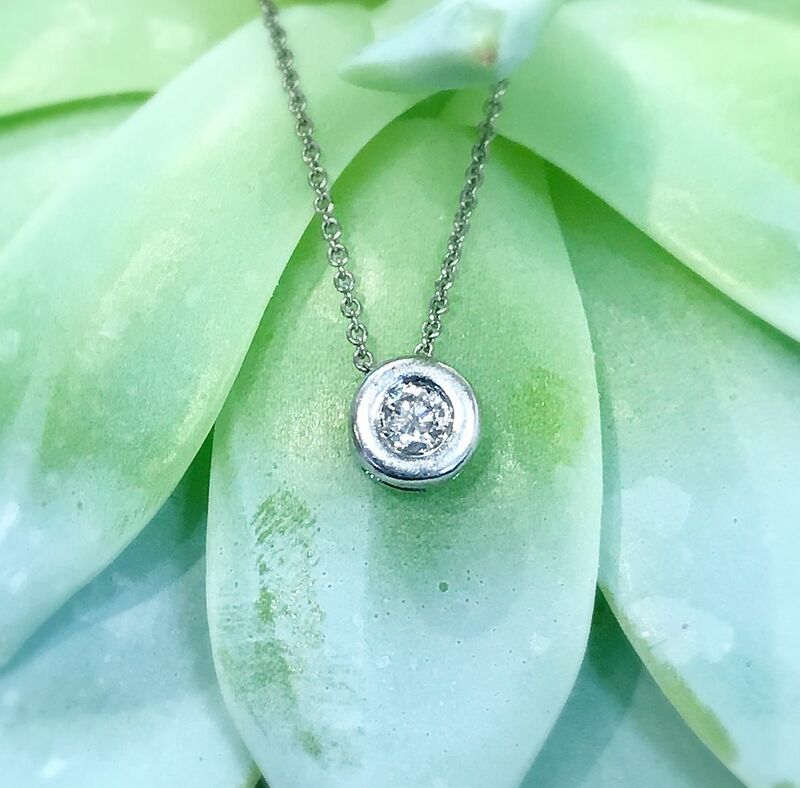 .15ct round diamond pendant in a 14kw gold bezel. 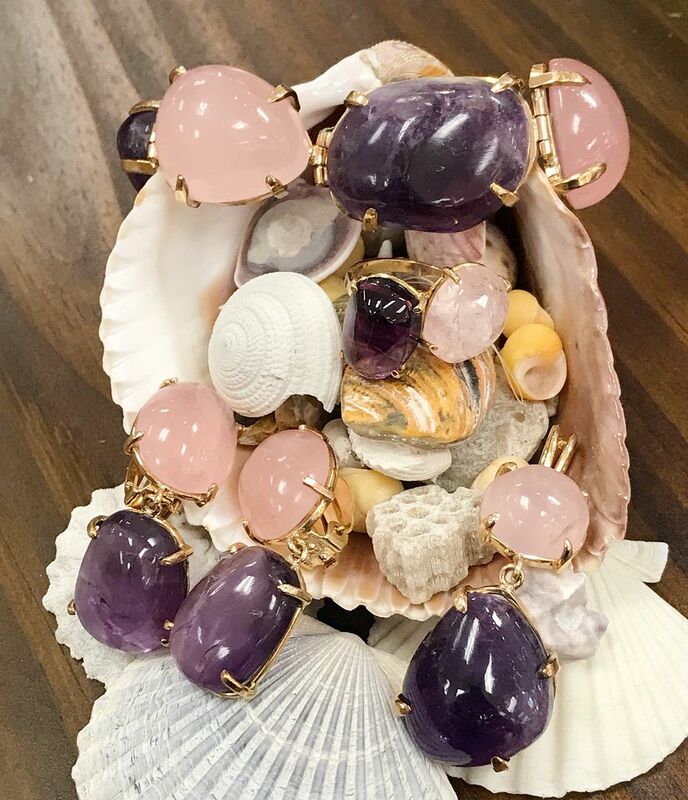 Rose quartz and amethyst set in 14ky gold. Bracelet was $1,195. Now $725. Ring was $395. Now $228. Earrings were $695. Now $395. 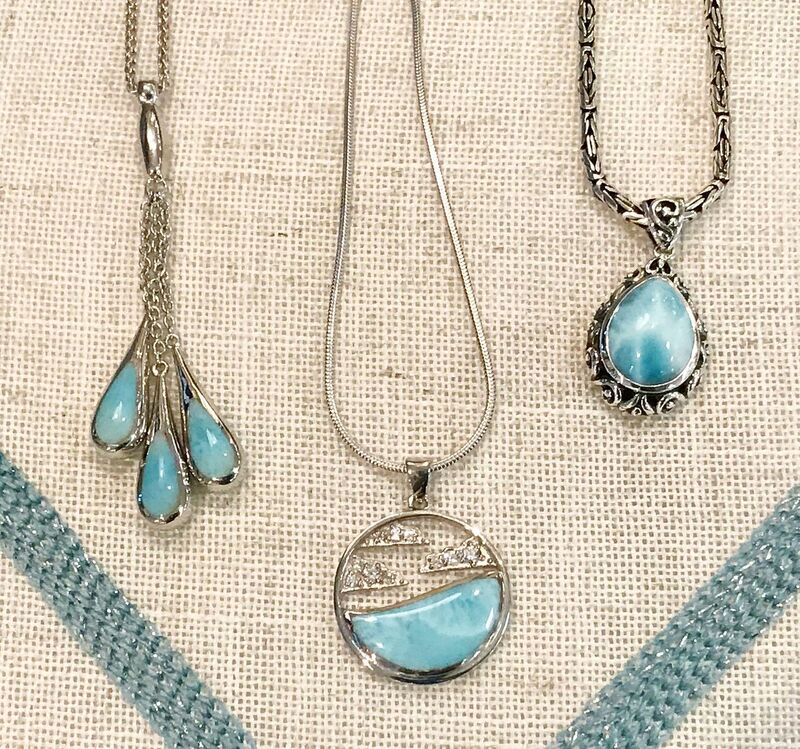 Pendant was $395. Now $228. 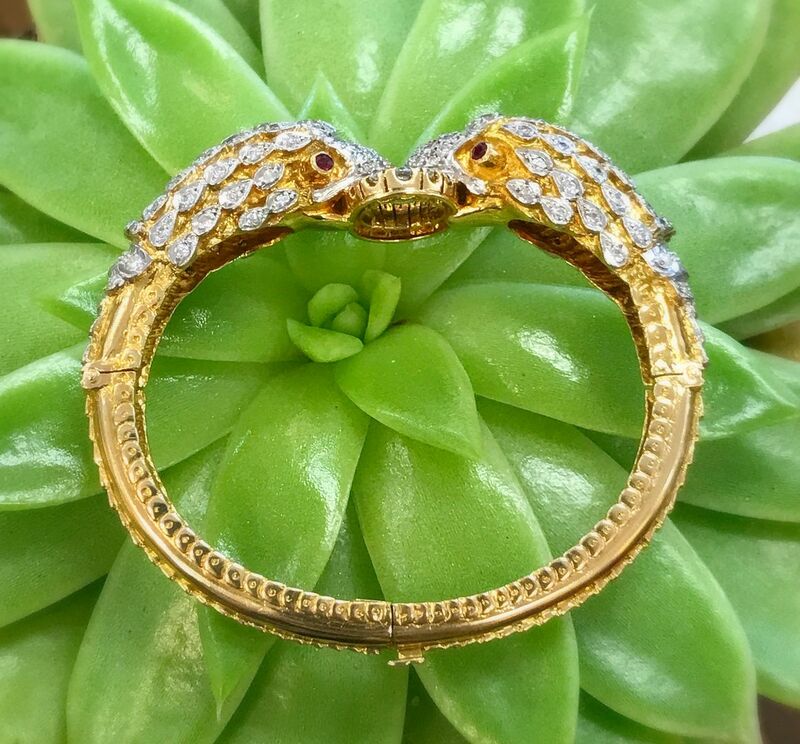 Ilias Lalaounis 3ctw diamond bangle with ruby eyes in 18ky gold. Was $9,995. Now $6,395. .55ctw diamond Greek key ring in 18kw gold. 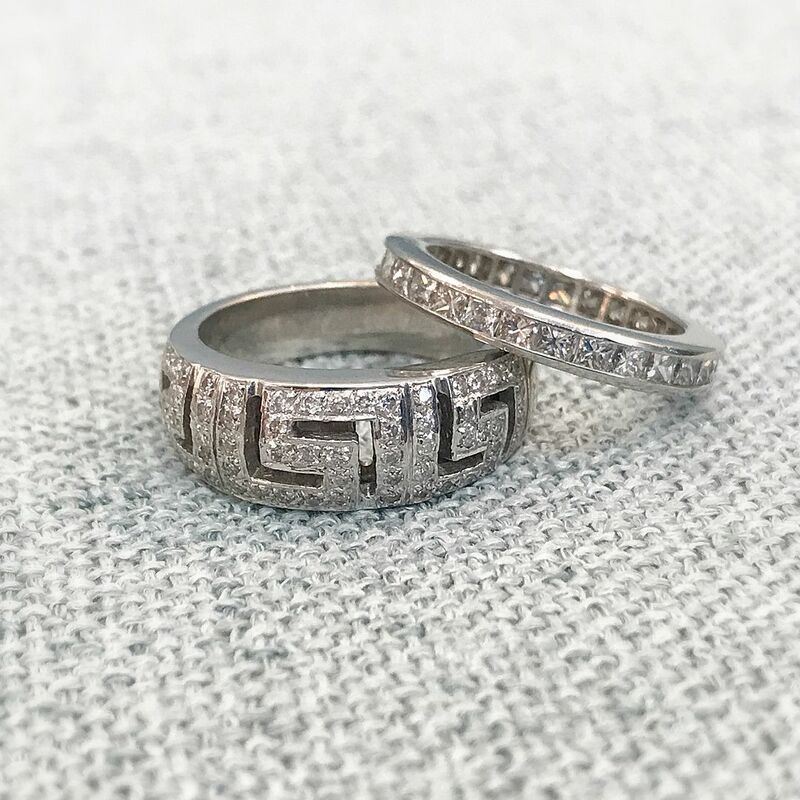 .50ctw princess cut diamond eternity band in platinum.